The First Report on the Public Credit was one of four major reports on fiscal and economic policy submitted by American Founding Father and first United States Treasury Secretary Alexander Hamilton on the request of Congress. The report analyzed the financial standing of the United States of America and made recommendations to reorganize the national debt and to establish the public credit. Commissioned by the House of Representatives on September 21, 1789, the Report was presented on January 9, 1790, at the second session of the First US Congress. The 40,000 word document  called for full federal payment at face value to holders of government securities ("Redemption") and the national government to assume funding of all state debt ("Assumption") The political stalemate in Congress that ensued led to the Compromise of 1790, locating the permanent US capital on the Potomac River ("Residency"). The Federalists' success in winning approval for Hamilton's reforms led to the emergence of an opposition party – the Democratic-Republicans  and set the stage for political struggles that would persist for decades in American politics. 4 The political debate over Hamilton's "Redemption"
6 Agrarian opposition to "Assumption"
7 "Residency," "Assumption," and the "Dinner-Table Bargain"
During the American Revolution, the Continental Congress, under the Articles, amassed huge war debts, but lacked the power to service these obligations through taxation or duties on imports. As an expedient, the revolutionary government resorted to printing money and bills of credit, but this currency rapidly underwent depreciation. To avoid bankruptcy, the Continental Congress eliminated $195 million of its $200 million debt by fiat. In post-war years, Continental currency – "Continentals" – would be deemed worthless. With its finances in disarray, the legislature abdicated its fiscal responsibilities, shifting them to the thirteen states. When the state legislatures failed to meet quotas for war material through local taxation, the patriot armies turned to confiscating supplies from farmers and tradesmen, compensating them with IOU's of uncertain value. By the end of the war, over $90 million in state debt was outstanding. Much of the state and national fiscal disorder, exacerbated by an economic crisis in urban commercial centers, remained unresolved at the time the Report was issued. With ratification of the US Constitution in 1787, Congress became empowered to impose import duties and levy taxes to raise revenue to honor these financial obligations. The national debt of the United States, according to the Report, included $40 million in domestic debt and $12 million in foreign debt, both inherited from the Continental Congress. In addition, the thirteen states altogether owed $25 million from debts incurred during the American Revolution. The combined US debt, as calculated, stood at $77 million. A consensus arose in Congress that the primary source of revenue be tariff and tonnage duties. These fees would serve to cover operating expenses for the central government as well as to pay interest and principal on foreign and domestic debt. Under the guidance of Representative James Madison, leader of the House, a tariff act was passed on July 4, 1789. Congress created the executive departments in September 1789, and Alexander Hamilton was confirmed by the Senate to regulate the powerful Treasury Department. Madison, having "actively promoted" Hamilton's appointment, was expected to cooperate in creating an energetic central government. Various plans had been considered to pay down the domestic debt under the new federal government. Some advocates wanted to abruptly scale back the debt to ease tax burdens, so as to retire the debt quickly. Proposals to default on the loans were termed partial- or full "repudiation". None of these, however, suggested defaulting on any portion of the $12 million foreign debt – plus $1.5 million in interest – regarded as a "sacred obligation [to be] paid in full". A significant portion of the nation's $40 million domestic debt  was owed to American patriots who had supported the War of Independence through loans or personal service. Many of these were combat veterans who, demobilizing in 1783, had been paid in IOUs – "certificates of indebtedness"  or "securities" (not to be confused with the worthless Continental currency or bills of credit) and redeemable when the government's fiscal order had been restored. Schemes more in sympathy with the ex-soldiers who had relinquished their certificates to speculators at reduced rates were termed "discrimination". These called for paying the original holder of the security at full value, and reimbursing the current holder of the security for its purchase price. The combined payments would, however, exceed the denomination of the original certificate. Congressman James Madison of Virginia offered his own variation of "discrimination" which preserved the federal obligation of face value debt repayment. In his version, current certificate holders would be reimbursed at their purchase price for the devalued certificate, and the balance would be handed to the original holder; the government outlay would match the face value of the original certificate. Hamilton rejected both "repudiation" and "discrimination" and championed "redemption", i.e. reserving payment at full value strictly to the current holders of the certificates, with arrears of interest. Near the close of the first session of the First Congress in September 1789, with the matter of establishing public credit unresolved, the legislature directed the new Secretary of the Treasury Alexander Hamilton to prepare a report on credit. The political debate over Hamilton's "Redemption"
Alexander Hamilton's First Report on the Public Credit, delivered to Congress on January 9, 1790, called for payment in full on all government debts as the foundation for establishing government credit. This, argued Hamilton, was required to create a favorable climate for investment in government securities, and to transform the public debt into a source of capital. His model was the British financial system, the sine qua non of which was fidelity to creditors. Before the government could resume borrowing, Hamilton insisted that the $13 million in arrears of interest be converted into principal, with payments at 4% on reissued securities. The plan would be funded by pledging a portion of the government tariff and tonnage revenue irrevocably to the payment schedule. Additionally, contracted debt would be serviced by sinking funds, derived from postal service revenue earmarked for that purpose. 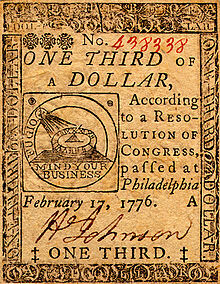 Rather than seek to liquidate the national debt, Hamilton recommended that government securities trade at par so as to promote their exchange as legal tender, equivalent in value to hard currency. Regular payments of the public debt would allow the Congress to safely increase federal money supply, stimulating capital investments in agriculture and manufacturing. With economic prosperity, these enterprises would more easily carry their tax burdens and provide the revenue to service the national debt. Monied speculators, alerted that Congress, under the new Constitution, might provide for payment at face value for certificates, sought to buy up devalued securities for profit and investment. Concerns arose over the fact that many certificates – almost three-quarters of them - had been exchanged for well below par during periods of inflation, some as low as 10 cents on the dollar, but selling at 20-25% at the time the Report was debated. Representative James Madison vigorously led the opposition to Hamilton's "redemption", though he fully supported the development of good credit. In his address to the House on February 11, 1790, he characterized Secretary Hamilton's "redemption" as a formula to defraud "battle-worn veterans of the war for independence"  and a handout to well-to-do speculators, mostly rich northerners, including some members of Congress. Madison's "discrimination" promised to correct these abuses in the names of financial rectitude and natural justice. Introducing political rhetoric into the debate that resonated with his constituency in Virginia, Madison laid the groundwork for a national party among democrats. His principled opposition to "redemption" was consistent with his view of a national government designed to shield the less powerful from a majority interest, in this case, his agrarian constituency from Federalist-sponsored economic nationalism. The essence of Hamilton's economic position on "redemption" was: (1) that any compromise on the sanctity of promissory notes would undermine confidence in credit; and (2) that concentrating capital into fewer hands would strengthen commercial investment and encourage constructive economic growth, enlarging government credit available to business enterprises. As his plan would greatly simplify and streamline finances, Alexander Hamilton found Madison's concern over the question of honoring both original and present holders of government securities naïve and counterproductive. 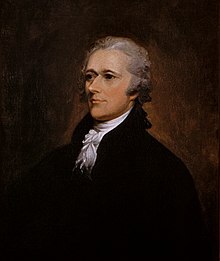 Adopting a much broader view of the effects of speculation, Hamilton acknowledged that a good deal of certificates had been obtained by wealthy individuals, but considered these "few great fortunes" of minor significance and a "necessary evil" in the transition to sound credit. His object was "to serve the nation, not to enrich a clique", and to establish faith in the national currency to avoid bankruptcy. Ultimately, Hamilton wished to unleash the vast productive potential he perceived as part of America's destiny. In promoting the utility of his program, however, Hamilton neglected to address popular perceptions of injustices to wartime patriots through post-war speculation. The Federalists, yoking their political fortunes to the financial elites, failed to cultivate their natural political base: "small businessmen and conservative farmers". Hamilton confessed years later, "the Federalists have ... erred in relying so much on the rectitude and utility of their measures, as to have neglected the cultivation of popular favor, by fair and justifiable expedients". Congress rejected Madison's "discrimination", in favor of Hamilton's "redemption", 36 to 13 in the House of Representatives, preserving the sanctity of contracts as the cornerstone establishing confidence in public credit. Madison's defeat, however, established his reputation "as a friend of the common man". Credit, private or public, is of greatest consequence to every country. Of this, it might be called the invigorating principle. The key provision in Hamilton's fiscal reform, termed "assumption", called for the thirteen states to consolidate their outstanding debt of $25 million and transfer it to the central government for servicing under the general funding plan. Hamilton's chief objectives were both economic and political. Economically, state securities were vulnerable to local fluctuations in value, and consequently, to speculative buying and selling – activities that would threaten the integrity of a national credit system. Furthermore, with each state legislature formulating separate repayment plans, the federal government would be forced to compete with states for sources of tax revenue. Hamilton's "assumption" promised to obviate these conflicts. Politically, Hamilton sought to "tie the creditors to the new [central] government" by linking their financial fortunes to the success of his economic nationalism. This, in turn, would gradually cause decline in state authority, and a relative increase in federal influence. Whereas Hamilton's funding scheme and "redemption" had won relatively quick approval, "assumption" was stalled due to bitter resistance from southern legislators led by James Madison. One of the effects of "assumption" would be to distribute the collective debt burden among all the states – the more solvent members paying a share of the more indebted ones. Most of the southern states, with the exception of South Carolina, had successfully paid down the bulk of their wartime debt. Virginia, relatively debt-free, led the fight against 'assumption", with Madison arguing that the proposed national tax would overburden Virginia planters operating on a narrow margin of profit. Requiring solvent states to contribute to those states suspected of mismanaging their fiscal affairs was deemed unjust. 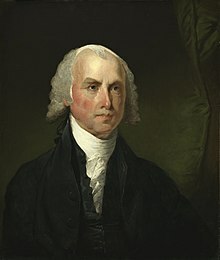 Prior to any vote on "assumption", Madison insisted upon a balancing of state accounts, termed "settlement", so as to determine the burden that each state would be compelled to contribute to the plan. He calculated that, under Hamiliton's plan, his state of Virginia would be responsible for providing $5 million in new federal revenue, while the government would assume only $3 million of Virginia's debt. In surrendering their debt into the hands of the Treasury Department, the states would sanction the principle of collective decision-making at the national level on state matters and "enormously strengthen" the influence of the United States government. At the heart of the opposition lay a political fear of "consolidation", where power and wealth was concentrated in fewer hands and the states "absorbed by the new federal government". Madison and his majority in the House blocked passage of the legislation on "assumption" in a test vote in April. Subsequent votes ended in rejection, and brought "the business of Congress to a standstill" by June 1790. "Residency," "Assumption," and the "Dinner-Table Bargain"
The US Constitution had provided for the establishment of a permanent "seat of government" – a national capital – without designating a location. New York City served as a temporary site to conduct federal affairs until a permanent "residence" could be agreed upon. Intense Congressional debates arose over the "residency question", resulting in proposals identifying sixteen possible sites in competing states, none of which could muster majority support. A number of government officials and state delegations gathered in clandestine meetings and political dinners to resolve the stalled "assumption" bill, linking the "residency" debate to passage of Hamilton's financial program. Thomas Jefferson, recently returned from France where he had acted as a foreign diplomat, understood the practical necessity of Hamilton's fiscal goals establishing America's legitimacy throughout Europe's financial centers. As newly appointed Secretary of State, Jefferson invited Secretary Hamilton to meet privately with opposition leader Madison in an effort to broker a compromise on "assumption" and "residence". The "dinner party bargain"  obligated Madison to withdraw his opposition and permit passage of the Assumption Bill; Hamilton agreed to suppress opposition for the permanent location of the nation's capital at Georgetown on the Potomac, the present site of Washington, D.C. Hamilton's support was superfluous, as the Potomac location had already been secured. Jefferson and Madison acquiesced in the passage of "assumption" as an expedient to avoid government bankruptcy and disunion, and not because they condoned Hamilton's economic nationalism. Jefferson's "dinner party" was, in fact, "the final chapter in an ongoing negotiation that [succeeded] because the ground had already been prepared" and produced "the first great compromise of the new federal government". Jefferson and Madison extracted a major concession from Hamilton in the recalculation of Virginia's debt under the fiscal plan. A zero-sum arrangement was contrived, in which Virginia would pay $3.4 million to the central government, and receive exactly that amount in federal compensation. The revision of Virginia 's debt, coupled with Potomac residence, ultimately netted it over $13 million. Indifferent to agrarian hostility to his economic proposals, Hamilton had "[driven] into alliance two very different trends of opinion": The "gentlemen planters", who cherished local autonomy and limited government enlisted the support of lower-middle class "artisans and western farmers", who favored democratic government and majority rule. These forces, one with Republican commitments, the other with Democratic convictions, united in common cause against Hamilton's reforms and "laid the basis for a national party". The Residence Bill passed in the House by a vote of 32 to 29 on July 9, 1790, and the Assumption Bill cleared by a vote of 34 to 28 on July 26, 1790. The adoption of Hamilton's Report had the immediate effect of converting what had been virtually worthless federal and state certificates of indebtedness into $60 million of funded government securities. Fully funded, the central government regained the ability to borrow, attracting foreign investment as social unrest destabilized Europe. In addition, the newly issued bonds provided a circulating currency, stimulating business investment. Hamilton submitted a schedule of excise taxes on December 13, 1790  in order to augment revenue necessary to service debts assumed from the states. The national debt reached $80 million, and required nearly 80 percent of annual government expenditures. The interest alone on the national debt consumed 40 percent of the national revenue between 1790 and 1800. Hamilton was instrumental in setting up a national administration that would carry out these programs. Setting the highest possible standard, he has been called "one of the greatest administrators of all time." He modernized performance in public office, and personally oversaw the details of an increasingly complex system, "without sacrificing dispatch, clarity or discipline." The Treasury Department quickly grew in stature and personnel, encompassing the United States Customs Service, the United States Revenue Cutter Service, and the network of Treasury agents Hamilton had foreseen. Hamilton immediately followed up his success with the Second Report on Public Credit containing his plan for the Bank of the United States – a national, privately operated bank endowed with public funds, which became the forerunner of the Federal Reserve System. In 1791 Hamilton released a third report, the Report on Manufactures, which encouraged the growth and protection of manufacturing. Hamilton's First Report on the Public Credit and his subsequent reports on a national bank and manufacturing stand as "the most important and influential state papers of their time and remain among the most brilliant government reports in American history". Brock, W.R. 1957. The Ideas and Influence of Alexander Hamilton in Essays on the Early Republic: 1789-1815. Ed. Leonard W. Levy and Carl Siracusa. New York: Holt, Rinehart and Winston, 1974. Chernow, Ron (2004). Alexander Hamilton. New York: Penguin Books. ISBN 1-59420-009-2. Hofstadter, Richard. 1948. The American Political Tradition and the Men Who Made It. New York: A. A. Knopf. Malone, Dumas and Rauch, Basil. 1960. Empire for Liberty: The Genesis and Growth of the United States of America. Appleton-Century Crofts, Inc. New York. Full text entitled "Report Relative to a Provision for the Support of Public Credit". Founders Online, National Archives and Records Administration (Accessed 2016-10-25). Alexander Hamilton. PBS American Experience (2007-05-14).